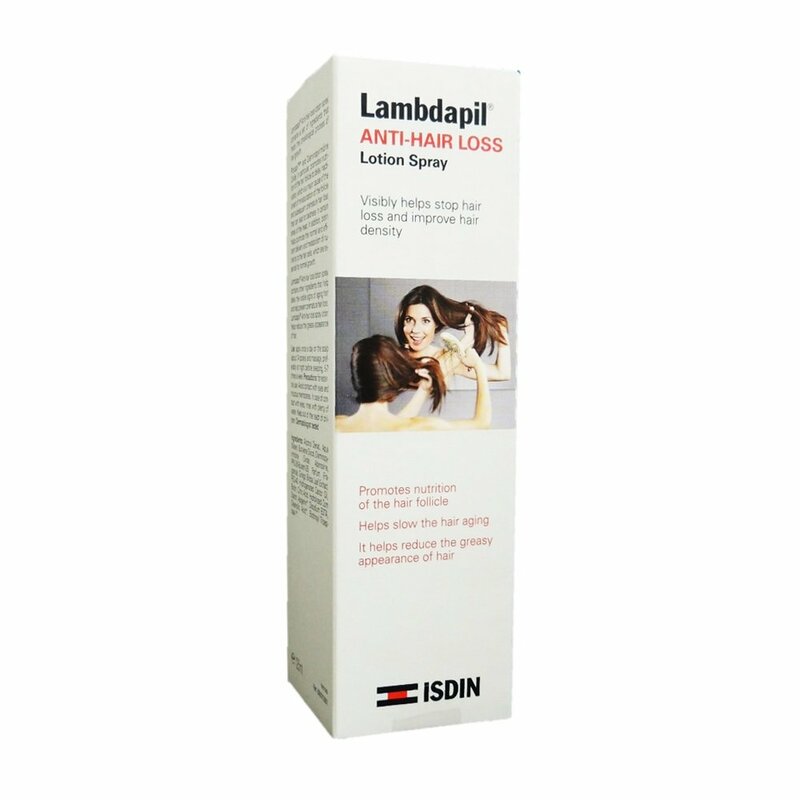 Isdin Lambdapil Anti-Hair Loss Lotion Spray contains a set of ingredients that helps the physiological process of hair growth. Procapil and Diaminopyrimidine Oxide, in particular, promotes nutrition of the hair follicle to delay inactivation, which is a major cause of the onset of miniaturization of the follicle and subsequent premature hair loss that can lead to baldness in certain areas of the head. Biotin helps promote the normal and efficient delivery and metabolism of nutrients to the hair cells, which are essential for normal growth. Help delay the visible signs of aging hair and help prevent premature hair loss. Apply once a day on the scalp (about 14 sprays) and massage preferably at night before sleeping, 5-7 times a week.